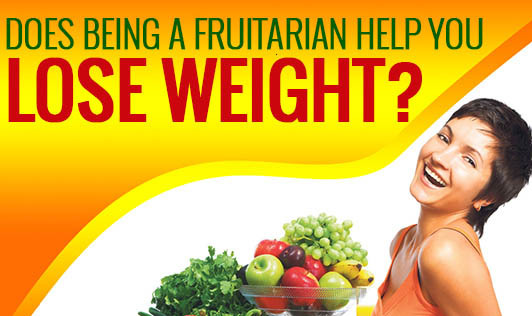 Does Being a Fruitarian Help You Lose Weight? Battling to lose weight with a fruit diet? Imagine surviving on only fruits for a week! You will feel starved! I just wonder how some of my friends do it. A Fruit diet is yet another type of fad diet that has gained popularity recently. In the biopic of Steve Jobs, Ashton Kutcher, who was inspired by the diet Steve Jobs followed, tried the fruit diet too for a few days while shooting for this movie. It somehow didn't turn out well for him, though! It landed him in the hospital with severe pain due to pancreatitis. Thanks to Kutcher for not promoting this diet for weight loss, which otherwise, could have got a huge fan-following for it! Every time a celebrity is connected to any particular type of diet, the public is drawn towards it and are tempted to try it even though it comes with a "warning label" from the nutrition experts. Let me tell you something interesting. Steve Jobs was fascinated with the fruit diet consisting of only fruits, nuts and seeds. So, now can you guess why his company is named after the fruit "Apple"? As a nutritionist, I don't feel right about writing anything negative about fruits. Nevertheless, it is not the fruit that is bad, but it is your diet that only has fruits! A fruit diet can never work in the long run and can play havoc with your body. The fact about a fruit diet is that it provides only carbohydrates, certain amount of fiber and minerals. Fruits alone will not provide all nutrients like fat and proteins that our body needs. We should aim at two to four servings of fruits per day to get the necessary vital antioxidants. People on a fruit diet generally face problems like bad nails, brittle hair, dull face, gingivitis, and dental caries. Fruit diet can lead to macro and micro nutrient deficiencies like protein, calcium, iron, essential amino acids and essential fatty acids. Also, diabetics can face serious issues with a fruitarian diet as fruits are high in sugars. There is no doubt that fruits boost our health; but, at the same time, it is important to have a balanced diet to meet all our nutrient requirements. Ask your nutrition expert what suits you best before you jump on to start any new diet!